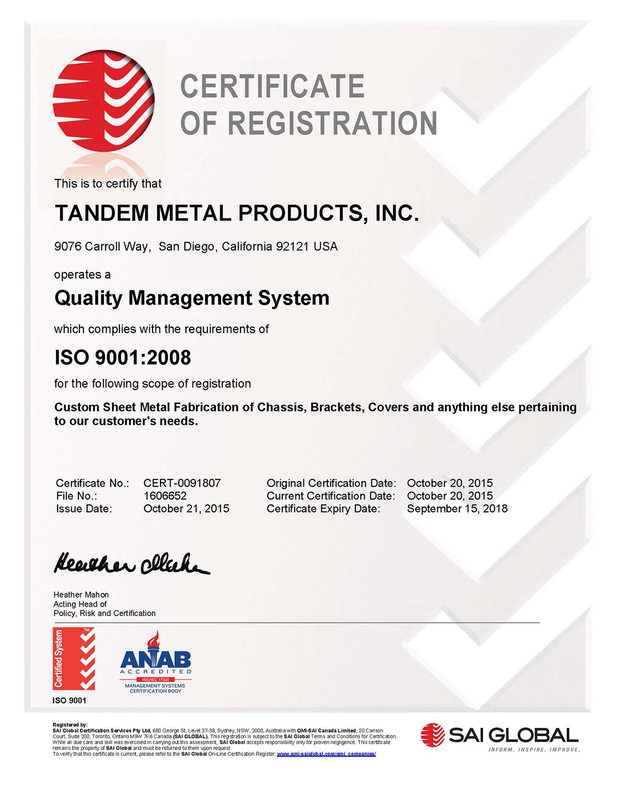 Tandem Metal Products, Inc. specializes in the fabrication of sheet metal. TMP can handle every aspect of punching, braking, welding and forming in our 17,000 Sq.Ft. facility using the finest Amada equipment on the market today.